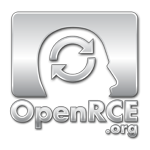 We have started a cooperation with one of the oldest reverse engineering forums on the Internet – Woodmann’s board aka RCE Forums. Every job entry is going to be posted on Woodmann’s board to attract more attention from reverse engineering specialists. Why should you submit job listings to us? It’s been a dream of mine to create a site like this for a while and here it is – a website dedicated to reverse engineers, malware analysts, pentesters, ethical hackers and all of you looking for something more than another C++ job. Let me know how you like it and I’m more than happy to give employees an opportunity to post free job listings for a month.